In 2006, Sumner Redstone got so mad at gross player Tom Cruise for making more money on “Mission: Impossible III” than Paramount that he kicked him off the lot. Soon after, MGM, in a desperate bid to look good in front of investors, handed Cruise and then producing partner Paula Wagner the keys to the United Artists kingdom. In two years they produced two Cruise vehicles: box-office disaster “Lions for Lambs” and widely panned “Valkyrie,” which returned some profits overseas. In fact, the studios have been shedding movie star deals, mainly because they don’t tend to pay off. DiCaprio is tight with studio chief Brad Grey, who is tight with Martin Scorsese. When Grey was head of management company Brillstein-Grey Entertainment and had formed Plan B, he worked with DiCaprio and Scorsese on Oscar-winner “The Departed” at Warner Bros. Scorsese has made another four films with DiCaprio (“Gangs of New York,” “The Aviator,” and at Paramount, where Scorsese has an overall feature deal, “Shutter Island” and “The Wolf of Wall Street”). But Appian Way is more than a jewel in Paramount’s crown. Like Brad Pitt’s well-regarded Plan B, which Grey brought over from Warner Bros. in 2005, Appian Way is a serious production company that produces more than vehicles for its star. (Plan B has yielded not only “World War Z,” but Best Picture winner “12 Years a Slave,” released by Fox Searchlight, “Selma” and “The Big Short.”) Appian Way was one of the producers on “The Revenant,” and one upcoming production is Ben Affleck’s “Live by Night,” which will be released by Warners in 2017. Thus after developing “The Wolf of Wall Street” at Warner Bros., the studio passed and DiCaprio chased the freedom of independent production. When he told Scorsese he had lined up financing from foreign sales company Red Granite, it was now or never. Scorsese knew that the movie could never have been made with a studio hovering over every bad word. So he agreed to do his fifth film with DiCaprio. Paramount may be more indulgent of DiCaprio’s ripped-from-headlines interests than Warners. Already, Appian Way has four more Paramount projects in the works: another Warners’ pass, Scorsese’s “The Devil in the White City,” adapted by Billy Ray from Erik Larson’s book; a climate change thriller based on Kayla Olson’s novel “Sandcastle Empire”; another environmental drama, this one based on reporting by New York Times journalist Jack Ewing on Volkswagen; and a limited television series based on A. Scott Berg’s Pulitzer Prize-winning biography of Charles Lindbergh. 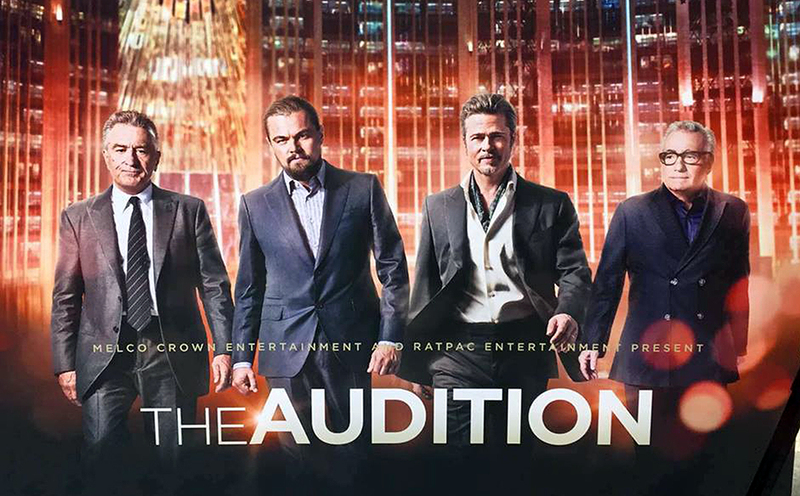 READ MORE: What Happened to $70-Million Short ‘The Audition,’ Starring DiCaprio, De Niro and Pitt?